Please join us on Sunday, April 28, 2019 at 2:00pm at the Hanson House, 38 Springfield Avenue, for an afternoon of medieval music. A marvelous player of the harp, Michele has been entertaining people for over 30 years on both the East and West Coasts at events ranging from weddings to historical reenactments. For our program she will be dressed in a medieval costume and will play music from the period. To help us to understand the music, she will stop occasionally to talk about the composers and the times. Michele has made two full-length, independent CDs. Hats and Victorian dress are optional. Enjoy an afternoon of fun, laughter and good company while enjoying a Spot of Tea, Tea Sandwiches and Dessert. RSVP by April 3, 2019 as seating is limited to only 24. Along with your RSVP, please submit donation of $25 (per person). 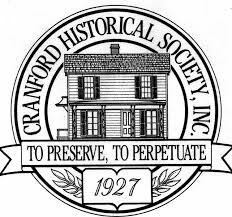 Checks to be payable to the Cranford Historical Society. Our featured talk – “To Tell The Truth – Historic Costume on the Screen,” by Costume Curator Gail Alterman, will focus on those costume dramas we all know and love. Gail will discuss historical dress and how it is used in select television shows. She will compare and contrast their accuracy and how well they play to character. Shows may include Poldark, Outlander, Victoria, Mrs. Maisel and The Crown. 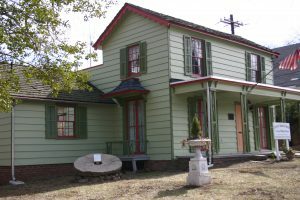 Museum Tour of the Crane-Phillips House. Free and open to the public.